I used to struggle to keep my house clean on a daily basis. 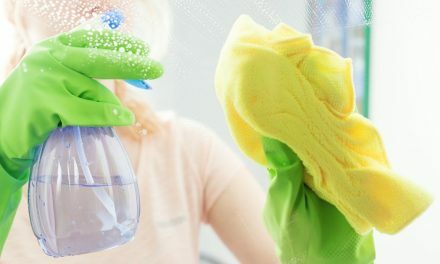 I would put all my small daily cleaning tasks off until our house was in dire need of a cleaning, and when that would happen, a house cleaning that should have taken me less than an hour to do would now take me all day – simply because I refused to take action and complete a simple daily cleaning routine. 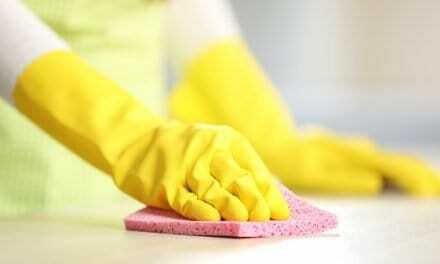 Do you put daily cleaning your house off? Maybe you are like I was, and have grown bitter towards cleaning because anytime you go to clean, it takes you hours upon hours, and it never feels like it’s truly done. This isn’t a home deep cleaning routine that will take you 3 days to complete – these are simply cleaning tasks that you can implement on a daily basis to keep your home tidy and clean. 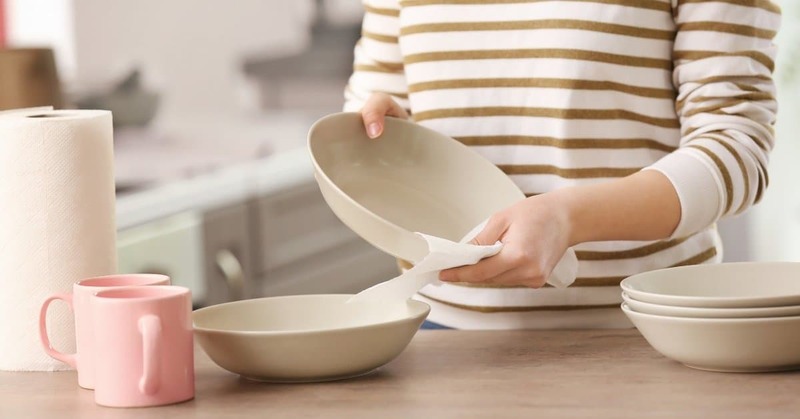 If your house cleaning is taking you hours to complete, try implementing these daily cleaning tasks into your day and see what a difference it makes on your weekly house clean – you will be pleasantly surprised. If you don’t think you have time to do daily cleaning tasks, I’ll let you in on a little secret: they’re quick, they can be done at different times throughout the day, whenever you get a minute or two to spare, and they’re easy. I’m all about keeping things as easy and simple as possible, and when it comes to cleaning our house, it’s no different. 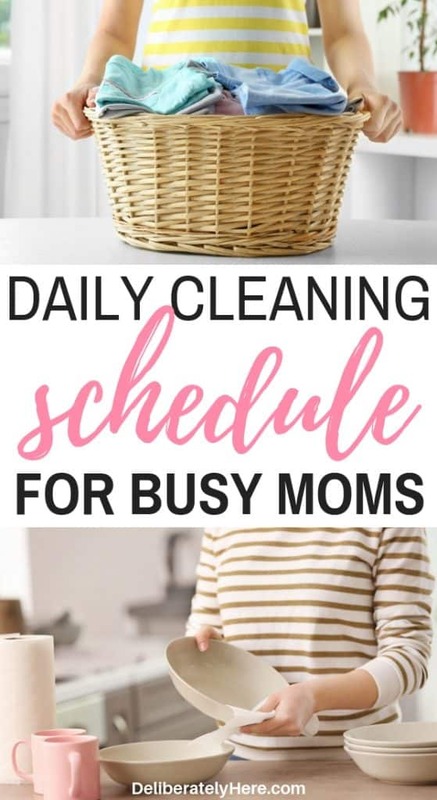 This isn’t a daily deep cleaning schedule to help you clean your entire house in a week, by doing different tasks each day. If you’re looking for a weekly cleaning schedule, you can find one here. Instead, this is just a small list of easy cleaning tasks that you should be doing every day to help keep your house clean throughout the week. Doing these daily cleaning tasks will cut down on the amount of time you spend cleaning each week. They will help your whole-house clean be a breeze since you’ve been keeping up with the small cleaning tasks every day – the small cleaning tasks that become big jobs if not done on a daily basis. Are you ready to learn what these daily cleaning tasks are, and start implementing them into your routine to create a daily cleaning routine? You can find the printable daily cleaning checklist at the bottom of this post. If you were to bunch everything on this daily cleaning routine together and do it all at one time in the day, it would take you longer than it needs to. To make the process a whole lot simpler and a whole lot less time consuming, you can break these chores up into different times of the day. When you wake up, address your bedroom. Make the bed, clear and put away any clutter that doesn’t belong, straighten things on the night table, and quickly tidy the bedroom. Throw in a load of laundry (If you don’t have enough laundry for a whole load, hold off until tomorrow). Wipe down the table after breakfast. Load breakfast dishes into the dishwasher, wash and put away any dishes that can’t go in the dishwasher. Wipe table after lunch. Load lunch dishes into the dishwasher, wash and put away any dishes that can’t go in the dishwasher. Clear clutter from surfaces as you walk through the house throughout the day. Never leave a room empty-handed. Switch laundry from the washer into the dryer. Wipe down the coffee table. Get and sort through mail. Throw away any papers you no longer need. Fold and put away laundry from the dryer. Wipe down the kitchen table after dinner. Load dinner dishes into the dishwasher, wash and put away any dishes that can’t go in the dishwasher. Wipe down kitchen counters and stove top. Wipe out the kitchen sink. Wipe down bathroom counters and sink. Wipe spots off of mirrors with this cloth. Wipe toilet seat and rim with disinfectant wipes. Straighten throw pillows and blankets on the sofa. 10 – 15 minute clean up with the whole family before bedtime. Put toys away, put laundry in laundry hampers, clear surfaces of clutter. Pick up clothes off of bedroom floor, put in hamper or fold and put away in the closet. This daily cleaning routine might seem like too much work at first, but I promise you it’s not. If you dedicate time each and every day to do these cleaning tasks you will be saving yourself so much more time when it comes around to the weekly deep-clean of your house. You will also be so much happier when you wake up to a clean, neat, and tidy house each and every morning. Then post it on your refrigerator in a plastic sleeve so you can use a marker and check the items off each day while you’re getting a hang of the schedule. 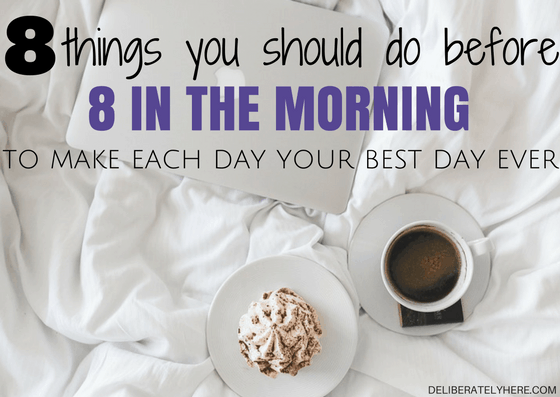 Before long you’ll be doing everything on the schedule out of habit, without having to remind yourself to do it every day, but you’ll want to have this schedule handy for when you’re just starting to get the hang of it, or you could easily forget stuff. Let me know how your first few days with this daily cleaning schedule go! Love this!! I am such a big believer in making the bed every day. If it’s made I am way more likely to keep the bedroom and bathroom clean all day.